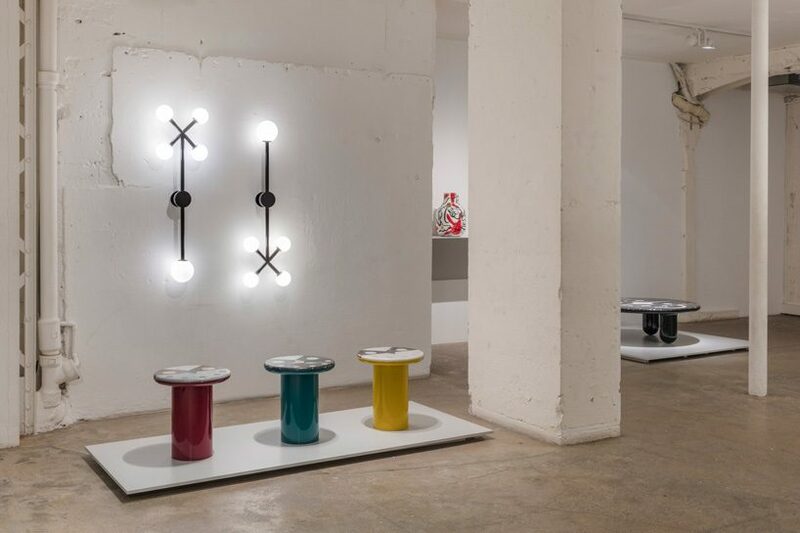 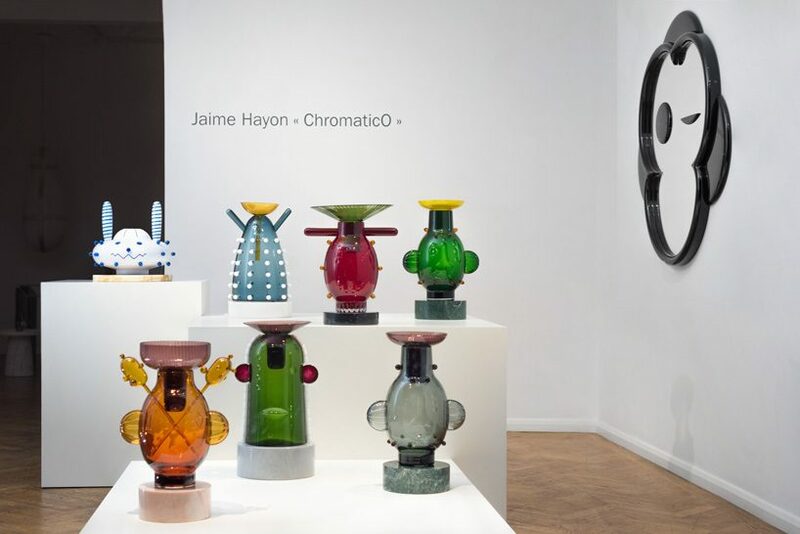 following his first solo exhibition at galerie kreo in 2015, jaime hayon presents chromaticO, a new collection for the gallery that explores color and its ability to transform an object through two different materials: glass and marble. 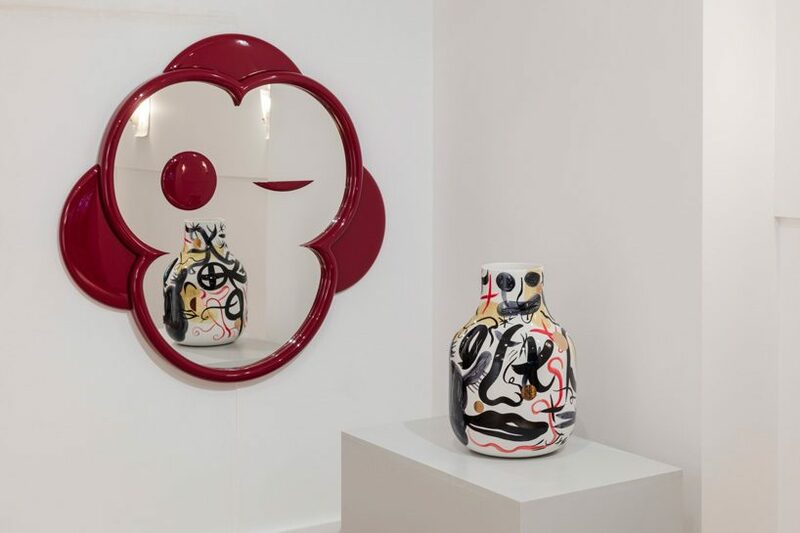 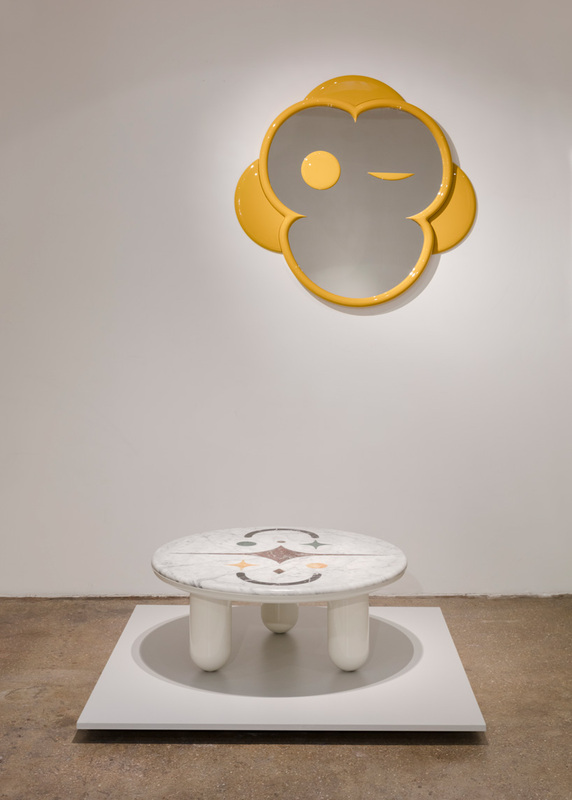 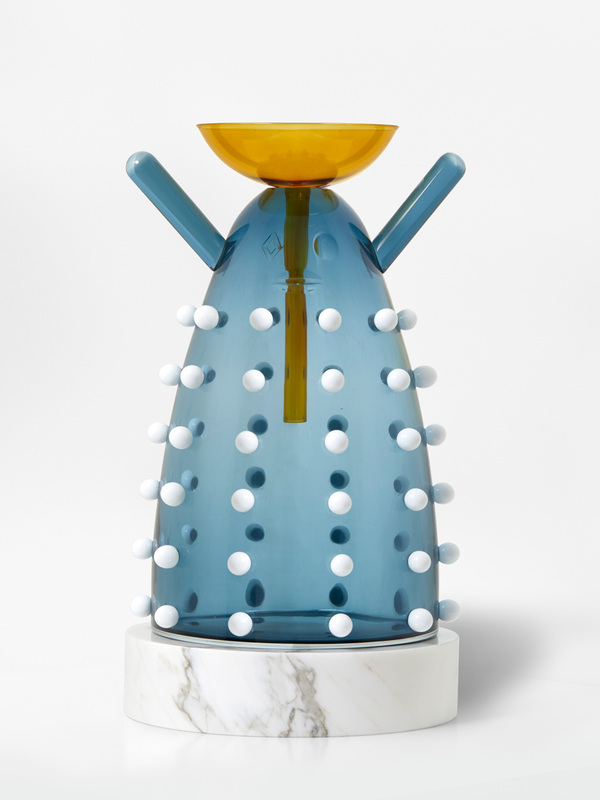 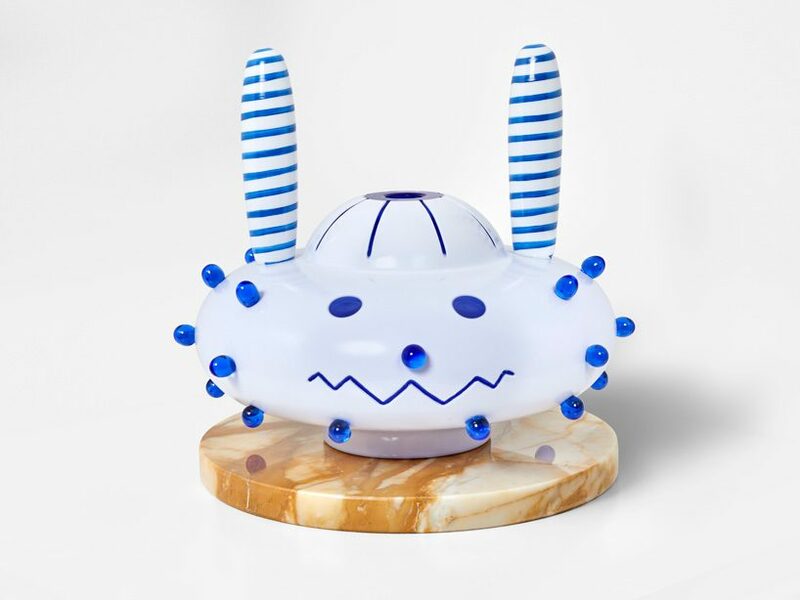 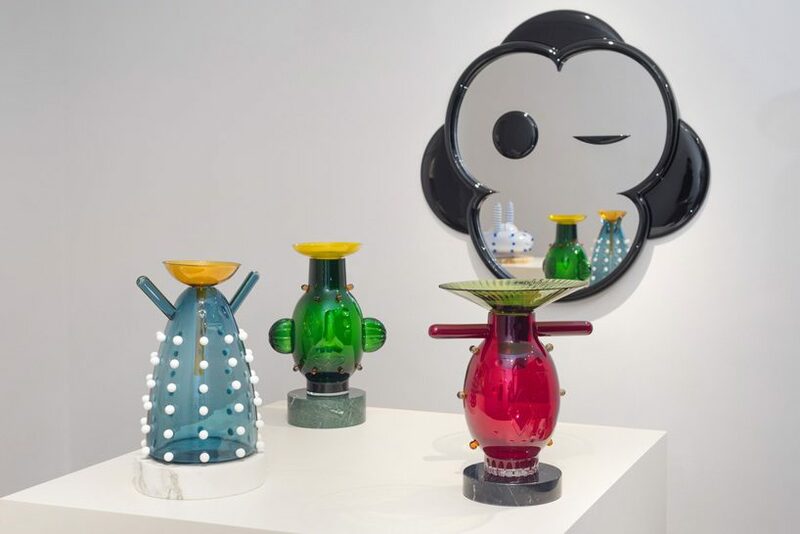 in two separate exhibitions, one in london, which focuses on glass, and one in paris that is devoted to marble, hayon draws from africa and the mediterranean to create playful, colorful pieces of meticulous craftsmanship. 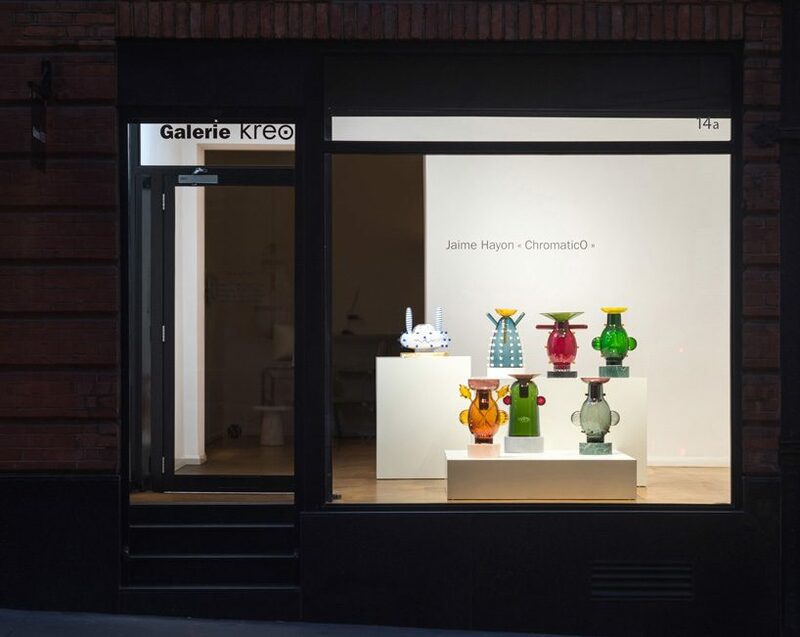 interested in the colorful side of africa, its crafts, and its textures, jaime hayon has dedicated the galerie kreo london location to a brightly hued group of vases made in hand blown murano glass. 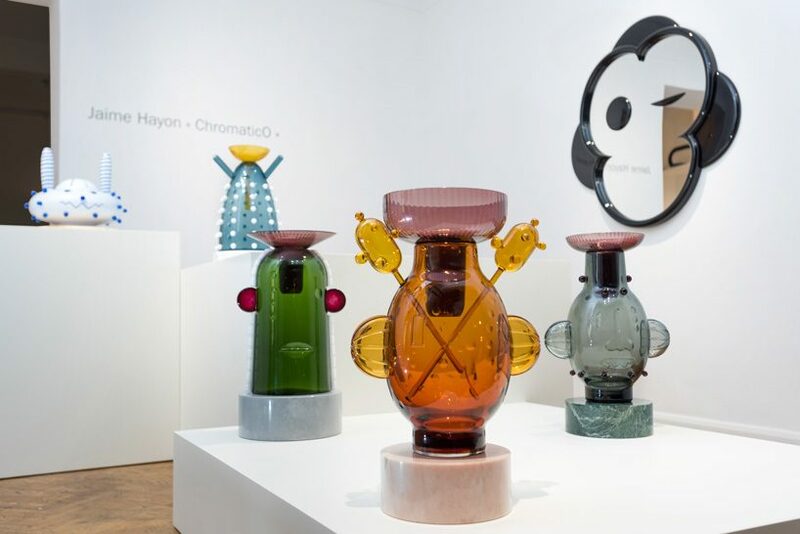 hayon first designed a special set of vases for the milwaukee art museum collection, using the hard rough finish of the african handmade wooden masks as a starting point, giving an utterly different approach. 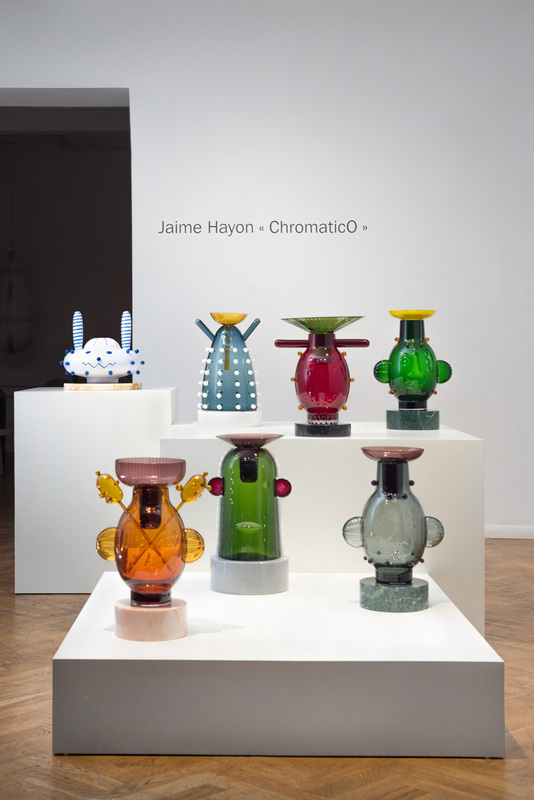 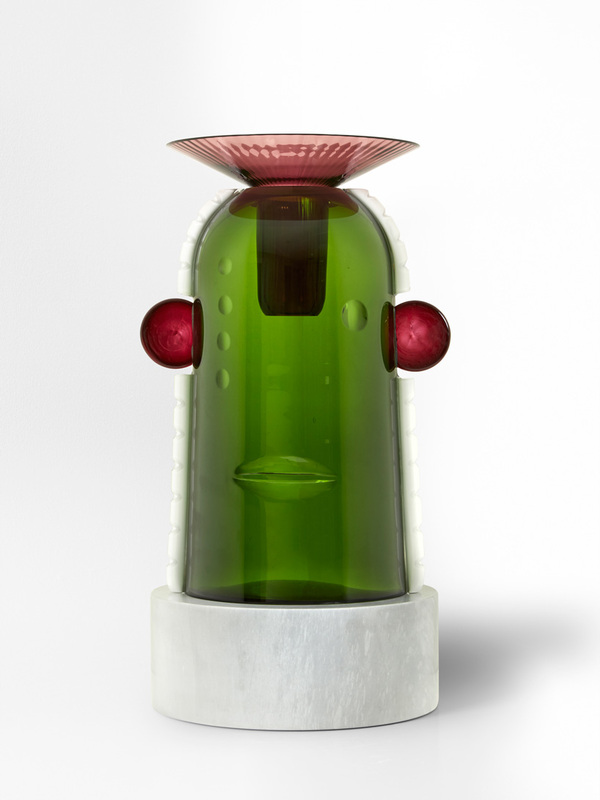 in chromaticO, the spanish designer has contrasted the strong imagery with the delicate nature of glass, resulting in a joyful and sophisticated range of pieces. 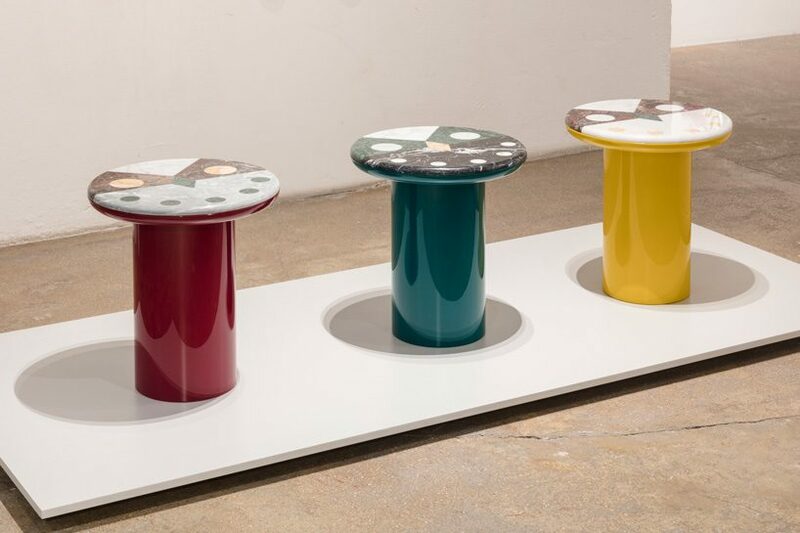 strong, bright colors in the glass body, such as golden reds, greens or oranges are mixed with very subdued ones, while the bases are made in precious marbles like rosa portogallo or giallo siena. 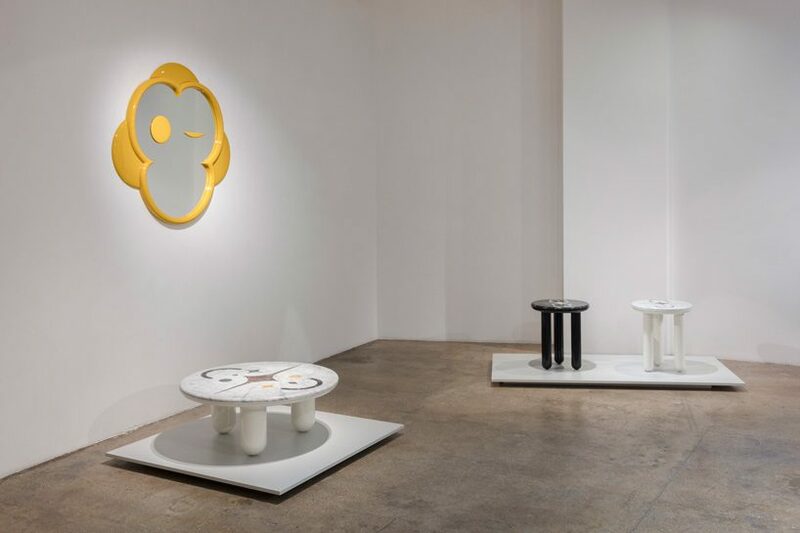 the paris gallery is presenting a group of works sharing the same interest for material and color, but in this case, devoted to marble. 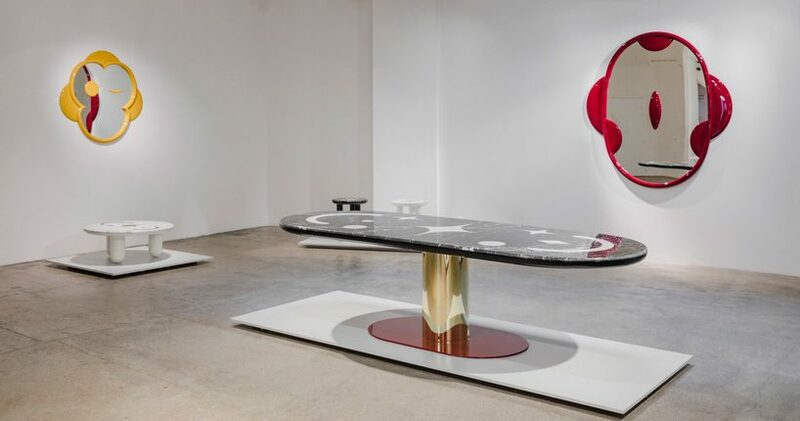 exploring the work in stone marquetry, a traditional mediterranean craft, hayon has created a series of tables with pared down geometric patterns and a recurrent use of his trademark iconography. 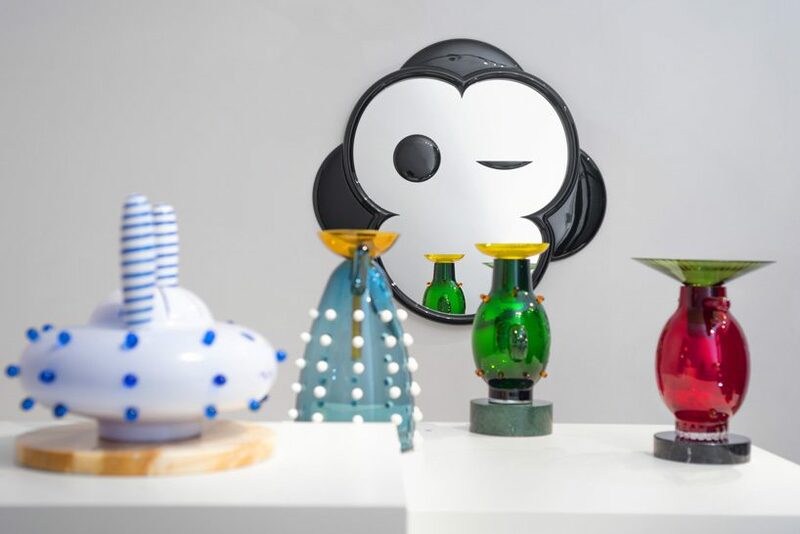 a new monkey silhouette mirror that winks at visitors completes both shows.